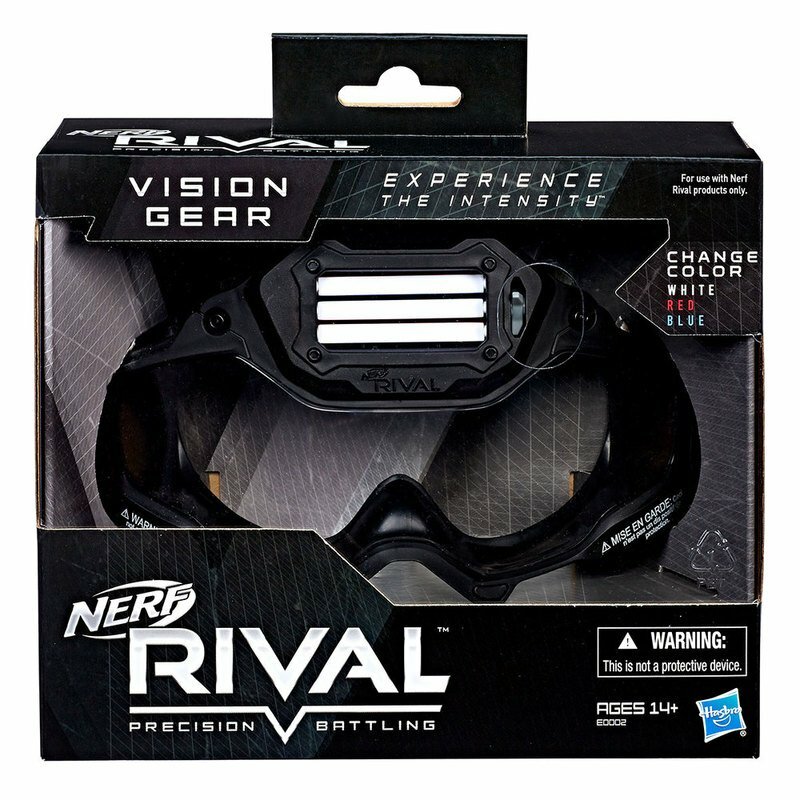 Battlers can show their team colors with Nerf Rival Vision Gear! These goggles have a team color indicator bar that can be changed by moving the lever to display red, blue, or white to designate the player as a member of Team Red, Team Blue, or Phantom Corps. The goggles are designed for a comfortable fit and have an adjustable elastic strap. Gear up for battle with Nerf Rival Vision Gear!